My parents are in Israel right now, vacationing and visiting the Holy Lands. Here's what my dad sent me once they landed. We are alive and well. Currently, in a Hotel in Amman. We went to Petra today. Also visited several ancient Edomite and Moabite cities. We will cross over to Israel tomorrow. Such a lovely letter, no? I think my parents are so incredible. 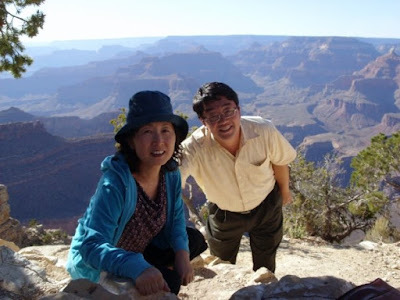 The fact that they both grew up in South Korea, immigrated to the states in their teens (mom) and twenties (dad), obtained advanced degrees (mom: BA, MA; dad: BA, MA, PhD, MDiv), and continue to flourish in a country that was not their first home is astounding to me. so cute. i feel like they're getting younger!